If someone mentions Dubai, it usually conjures up a mental image of vertigo-inducing skyscrapers, excessive wealth, and a man-made island in the shape of a palm tree. Visiting the largest city in the United Arab Emirates, and talking to people who lived there, it soon becomes apparent how bizarre the city truly is. Everything has to be bigger, and better, faster, and more awe-inducing. With every place I visited, the phrase ‘it’s the biggest in the world’ or ‘it’s the most expensive’ or ‘it’s the tallest’ was added into every description. This building itself breaks seventeen world records. It took six years to build and was opened at the start of 2010. Among the world records it holds is the world’s highest nightclub (144th floor), restaurant (122nd) and the world’s highest occupied floor – five hundred and eighty four metres in the air. 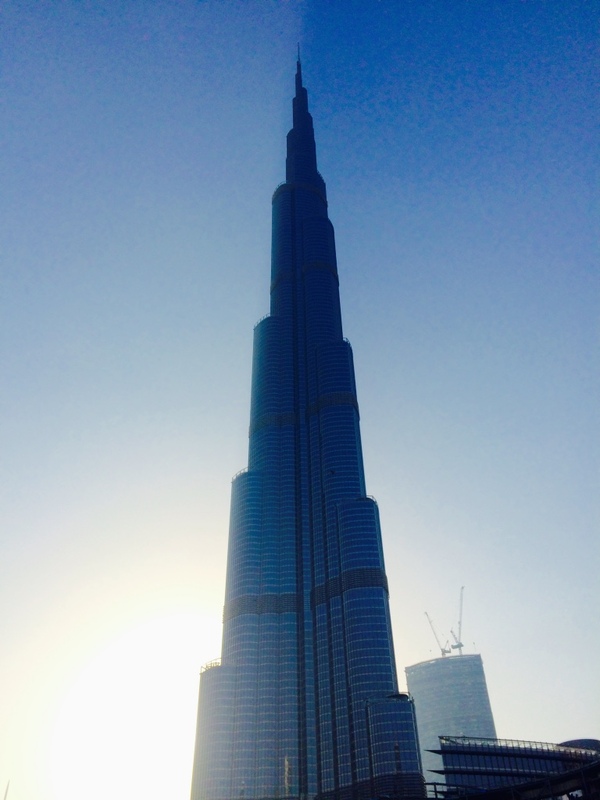 It’s not only the tallest structure in the world, but the tallest to ever be built. For comparison in London, the Shard is 308 metres, similar to the Eiffel Tower. 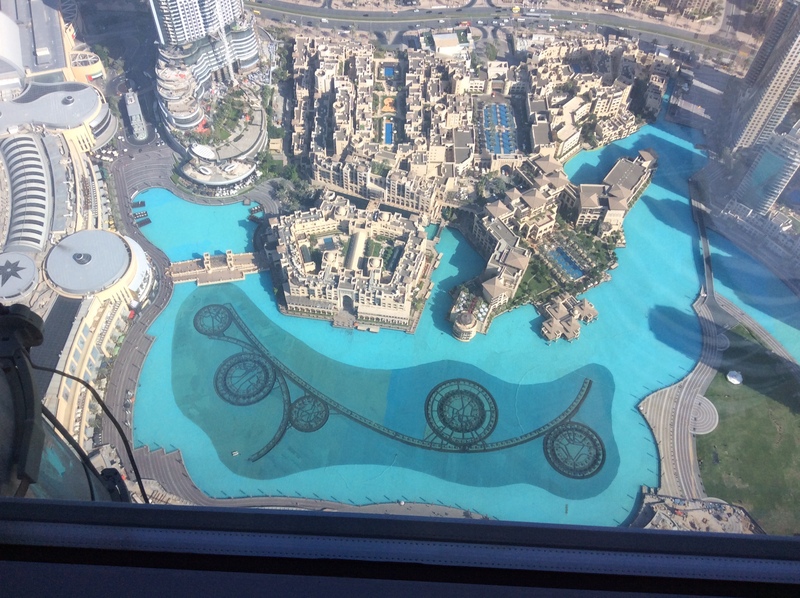 At the base of the Burj, next to the world’s largest mall, you can find the Dubai Fountain. It’s the largest choreographed water fountain in the world. At any given point, its water jets can shoot twenty two thousand gallons of water into the air. The fountain is choreographed to over twenty-five different songs. Now, this luxury hotel doesn’t actually hold any records, but it’s frequently misunderstood to be the most expensive hotel in the world. 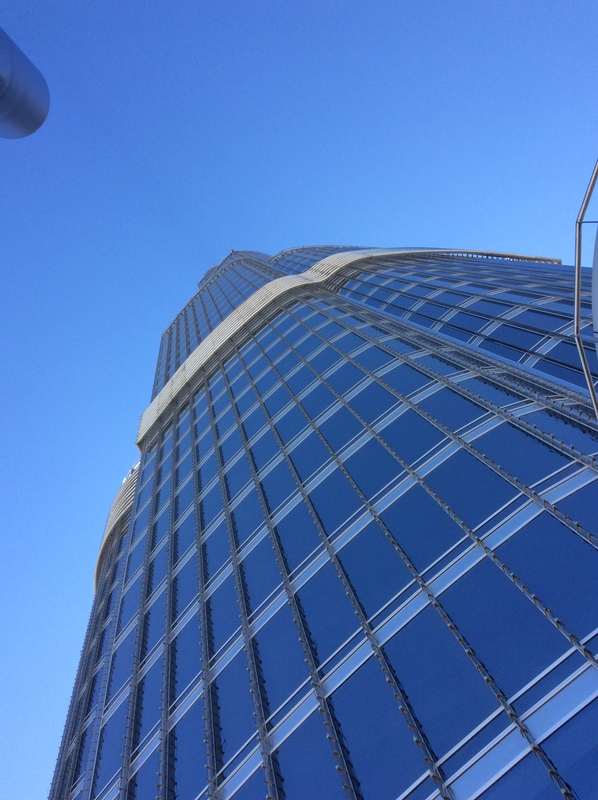 It’s also only the third tallest hotel in the world – and not even the tallest in Dubai. In terms of expense, the Royal Suite bills at £8,425 a night* – thirty three thousand Dirhams – which is not even close to the $24,000 claimed by this list that put it in the top three in 2012. Some call it the only 7-star hotel in the world – although Jumeirah Hotels do state they’ve never used that term in their advertising. They do call it the world’s most luxurious hotel though. 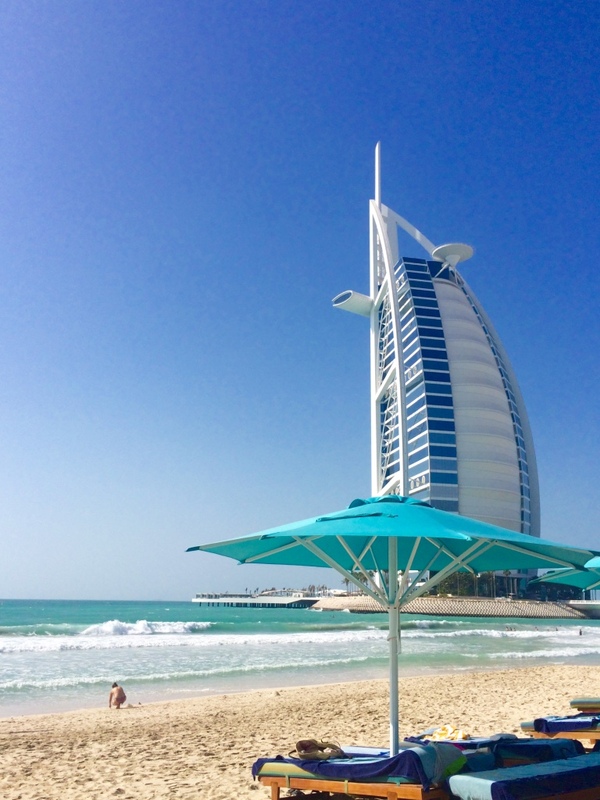 If you have a spare year’s tuition, and fancy testing out whether the Burj Al-Arab lives up to the advertising – here’s a Forbes article telling you what’s in store. And if you want more extravagant Dubai records, I suggest you start here. *Price based on one night in May 2017. Prices and exchange rates correct at time of writing.